If you have moved into a home with classical features, it is likely that you will want to stay true to your home’s heritage. A period property is often known for its fireplace as a focal point of the room, but your existing one may need updating. 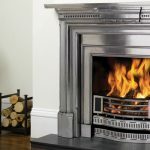 Here are some options that will complement your home’s history, whilst also updating your fireplace with the latest in heating. With its large viewing window, and detailed cornicing that would suit either modern or traditional homes, the Sheraton 5 makes an ideal update to your fireplace. This wood burning and multi-fuel stove offers the very latest in combustion technology, being Ecodesign Ready with an ultra-clean burn. 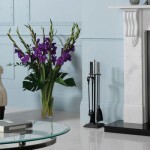 This stove is shown with a Claremont Stone Mantel in Natural Limestone – a great addition to any classical fireplace. Alternatively, Stovax offers a wide selection of wood burning and multi-fuel fireplace designs with a range of styling options. If you want to update your fireplace with the convenience of a gas fire, the Reflex 75T works well when installed under a mantel. This gas fire would offer your fireplace the incredible visuals of a wood burning fire, yet with all the capabilities and convenience of gas. This gas fire can be controlled via a handset, or even through an innovative app, and comes with a selection of different linings to suit your style. The mantel in the image shown is of a Cavendish Bolection Mantel in Limestone. 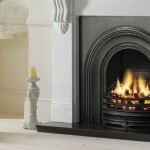 Alternatively, Gazco offer a range of traditional gas fireplaces providing realistic flames and a striking centrepiece to your home. 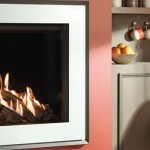 One of the most attractive points of an electric fire is that it does not require a chimney. If you want to update your fireplace with an easy chimney-less installation, an inset electric fire could be a great solution. An electric fireplace like the Riva2 electric inset 70 can be switched on and off for instant heat, or even used for flames without heat, and works very well with a stone mantel to give it a traditional finish. Visit your local retailer who will be able to show you various fireplace options.